Manchester United have reportedly opened talks with striker Marcus Rashford over a potential new contract. The striker’s current deal at Old Trafford is set to expire in the summer of 2020. Despite United possessing the option of extending his deal by a further year, various sources have suggested that they are keen to extend his contract even further, with conversations having already begun. The 21-year-old has been in inspired form with the Red Devils since Ole Gunnar Solskjaer was handed the reigns following the departure of Jose Mourinho. Since the Norwegian’s arrival at the club, the forward has scored six Premier League goals, including the winner in Sunday’s slim 1-0 victory over Leicester City at the King Power Stadium. 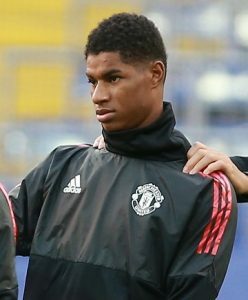 Rashford has now made 100 Premier League appearances for United since breaking onto the scene during the 2015/16 campaign. In that time, he has scored 26 league goals. Since getting into the first-team at Old Trafford, he has also made 31 appearances for England and has scored six goals. Following his strike in the East-Midlands, he took his season tally to nine league strikes. The youngster is now an outside bet to beat Mo Salah to the 2018/19 Premier League top scorer award and is available at odds of 66/1 with Paddy Power.